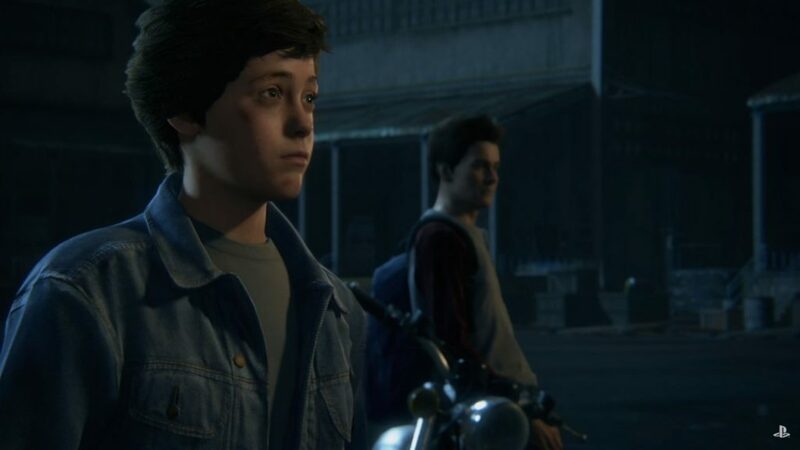 Naughty Dog’s Uncharted series has arguably been Sony’s biggest IP since its debut on the PlayStation 3, with its main trilogy selling well over 20 million copies in addition to overwhelmingly high praise from critics. 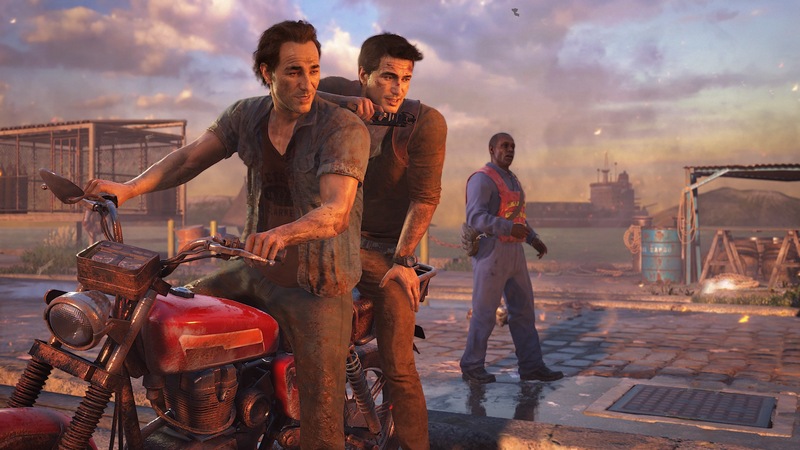 It’s been almost five years since players experienced Nathan Drake’s last big outing, and Uncharted 4: A Thief’s End does a splendid job in his final action-filled adventure. The fourth game in the main series, and supposedly the last one, takes place a few years after the events of Uncharted 3: Drake’s Deception. Series mainstays Nathan Drake and Elena Fisher are happily married, taking it easy with their careers as Elena’s investigative journalism assignments are nowhere near as dangerous as we’ve become accustomed to, while Nate has taken up a career in marine excavation, another far cry from what he’s used to. Nathan Drake, the orphan, is back for more backstory. As fans of the series undoubtedly know, Nate has always had a thirst for adventure, and the game does a good job making that apparent in an early scene in which he works in his attic, coming across keepsakes from his previous adventures. He even comes across a toy gun in a small segment in which players shoot random targets in the attic. So while it’s clear Nate is retired, it’s also obvious that he has an itch for adventure, and after receiving an unexpected visit from someone from his past, it’s time to go on one more journey in which the stakes have never been this high. Now just to acknowledge those wondering whether or not Nate has to answer for the thousands of people he’s killed in this and every one of his previous adventures in light of self-realizations found in Captain America: Civil War or Rise of the Tomb Raider, no—it’s not even an afterthought. Then again, Indiana Jones did a lot of the same stuff before Kingdom of the Crystal Skull, so it’s safe to say Nathan Drake is in the same category. Those invested in the series will find that A Thief’s End is hardly uncharted territory. The death-defying stunts, combat, and exquisite cinematography that the series has set the standard for more than makes its welcome in this installment, and it’s more over-the-top than ever. The series is notorious for its ridiculous stunts, and Uncharted 4 kicks it up a notch with none other than a simple rope and claw. With the rope, Nate can lasso onto pegs or other hanging pieces of the environment to swing and climb his way through the game’s conveniently placed paths. It’s a welcome addition, and it’s one that makes us wonder why it wasn’t added to Nate’s impressive array of parkour moves sooner, especially with items like The Legend of Zelda‘s hookshot and the grappling hook from the Batman Arkham games being such staples in those adventures. Landslides also make their way into the environmental level design, seemingly taking a page out of the rebooted Tomb Raider‘s book, to further enhance the series’ nonstop action. But perhaps the biggest addition to the gameplay is the ability to handle vehicles. In fact, you gain control of a speed boat right away, among other things. While you won’t be running around stealing cars in European streets, rapidly paced chase scenes and more therapeutic trekking await you in Madagascar, continuing to keep the gameplay both fresh, yet familiar. Of course, to go along with the enjoyable struggle of Nate going off the beaten path, is the fact that enemies always seem to be in pursuit of him. For the most part, combat hasn’t changed much. 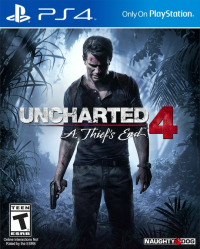 Uncharted 4, like the rest of the series, is very much a third-person cover shooter with sprinkled scavenging, and Nate has about as many witty one-liners as he has mercenaries shooting at him, making the constant situations at gunpoint all the more enjoyable. And since most of the action takes place with one of Nate’s allies, there’s plenty of opportunities for cool-looking double attacks, including a double choke slam you can perform. The only complaint about hand-to-hand combat is you’re limited to a dodge, strike, and counter buttons, but this isn’t Street Fighter or God of War, so that’s completely fine. You can’t have an Uncharted game without people shooting at you from all directions. New to the combat is an increased emphasis on stealth. While there will be times where it’s just better to rid the area of enemies, stealth is also a valid and sometimes less stressful option. It’s nowhere near as intense or intricate as the stealth sequences in The Last of Us (although your buddies are going to be a whole lot more useful than Ellie was), but there’s a lot of satisfaction in clearing an entire area with sleeper holds and neckbreakers rather than with a firearm. Probably more so than any other series before it, it’s tough to not recognize Uncharted for its greatness in cinematography. 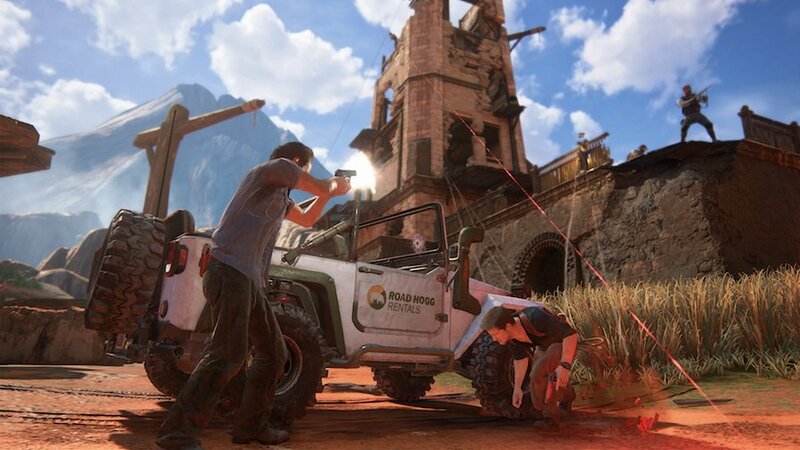 Experiencing Uncharted in all its glory really isn’t all that different from watching a movie, except it’s fully interactive, and Naughty Dog has once again struck the perfect balance with Uncharted 4. As fun as it is to watch everything happening, it’s not like Metal Gear Solid where you’ll spend 20 minutes watching compared to every 10 minutes playing. As far as cutscenes go, there’s definitely some QTE involved, but nothing particularly Telltale about it (though the speaking prompts scream Telltale). Whether it’s a ledge crumbling as Nate latches onto it, a building collapsing just as he enters it, or having to jump from jeep to motorcycle to jeep again, there’s always something happening, and there’s never a dull moment. Voice acting veteran Troy Baker (Joel, The Last of Us; Snow, Final Fantasy XIII) plays Sam Drake, Nathan’s brother. That’s all we’ll say, because that’s already too much. One of the most underrated reasons why the series is as successful as it is with its storytelling is because of it’s strong and likable cast of characters and the real people behind them. Industry voice veterans Nolan North, Richard McGonagle, and Emily Rose are back with their outstanding performances as Nathan, Sully, and Elena, while fan favorite Troy Baker (who, like Nolan North, is probably in every video game made) does a fantastic job playing the voice of Samuel Drake—Nate’s long, lost brother. When you’re through with the epic 18-hour story, Uncharted’s underappreciated multiplayer is an option, and it remains a joy to play. Whether you’re playing Team Deathmatch running around as the late Laczarevic, or swinging around the auction house as Victor Sullivan, there’s quite a lot of fun to be had with the game’s multiplayer. All the maps are confirmed to be free with more DLC along the way as well, further adding to the package’s value. The series is known for its tight gameplay, and it’s only gotten better. Production values are an afterthought because the series has always been among the PlayStation’s best in those areas. It goes out without saying, but the game looks and sounds absolutely wonderful. Whether it’s the blades of grass giving luscious greenery to the ground, the towns and villages you can see from cliffside miles away, smoke from a burning building indicating something big is happening, or flocks of birds flying in the distant sky, Uncharted 4 is easily the best-looking game on any console to date. The bottom line is it’s fun, the fantastic story caps the series off on its highest note, and it’s a technical marvel with a surprisingly enjoyable multiplayer mode. And to sweeten the deal, the developers will also be adding single player DLC to further enrich the campaign. Uncharted 4: A Thief’s End is the entire package. If you have a PS4 and don’t have this game, you might want to reconsider your ownership of the platform.